Anyone who has ever taken a shop class would find the MakerSpace at the Chesapeake Arts Center familiar. Whirring drills and the smell of sawdust and freshly cut wood might trigger olfactory memories that could take you straight back to middle school. But with the addition of newer technologies, this Arts Empowered Minds Initiative partner’s high-tech space is even cooler. 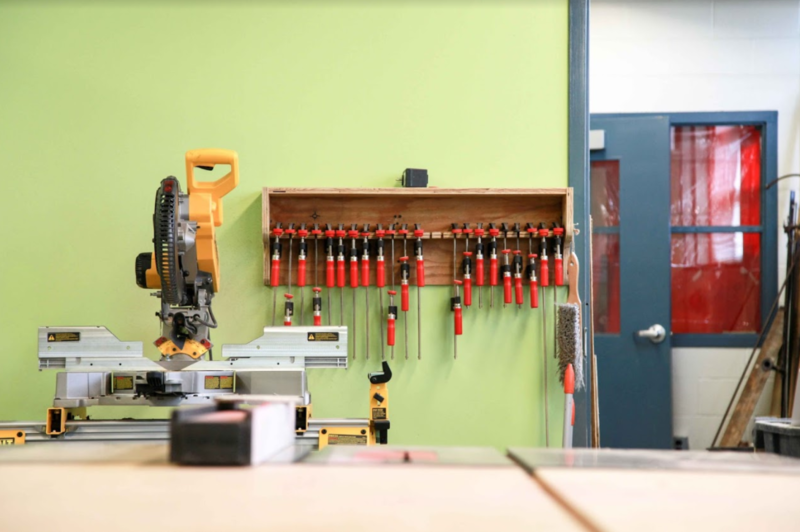 Laser cutters, 3D printers, and a computer lab, along with a fully functional wood and metal shop cover so much more of a maker’s needs than workshops of long ago. And the communal group space means working among peers, learning, and possibly collaborating! 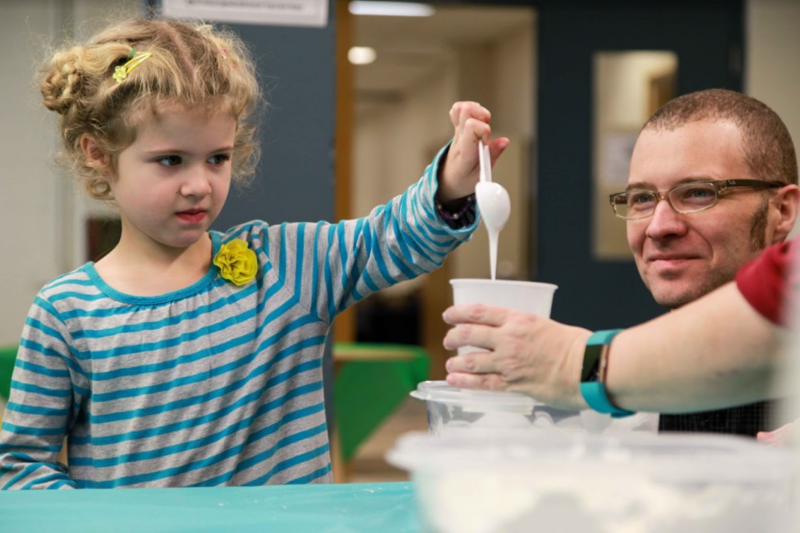 Families enjoy hands-on activities at the MakerSpace monthly. 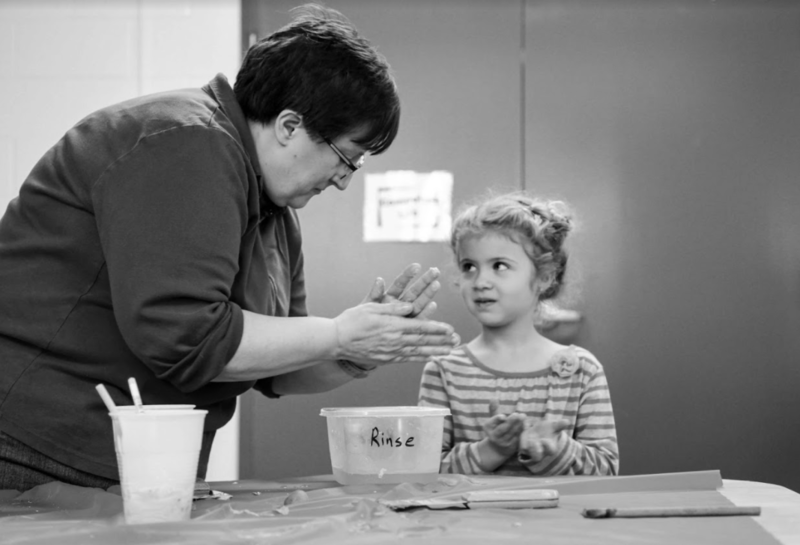 Once a month, the MakerSpace hosts a family workshop open to anyone in the community. Families work side-by-side, adults and children alike creating and learning. Katie Crook teaches Technology Education during the week at Glen Burnie High, but on Saturdays, you’ll see her in the MakerSpace guiding kids and families through projects and introducing them to all sorts of new materials and possibilities. On a cold Saturday in January, she had a steady stream of children keeping warm while mixing and rolling multicolored polymers into bouncy balls. The pay-what-you-can experience is made even more valuable with the veteran academic teacher ready to answer questions about the science behind the activity. Katie Crook helps a young participant form a bouncy ball. 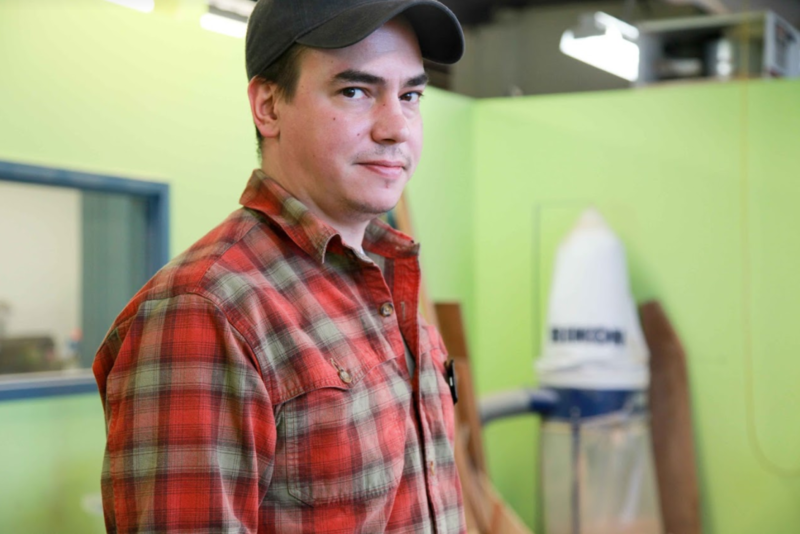 Henry Scott, the MakerSpace Coordinator, oversees the day to day management of the space. You can find him giving equipment demonstrations and leading safety classes to prepare members to correctly use all of the tools independently. He works with adults both experienced and new to the environment, and he also works with kids. “We are having a group of middle school kids come in to do an electronics workshop with paper circuits,” he said. Area teachers can make the MakerSpace a destination for field trips where students can learn new skills or even work on projects they planned in class. A group of children gathers for a demonstration of the laser cutter. 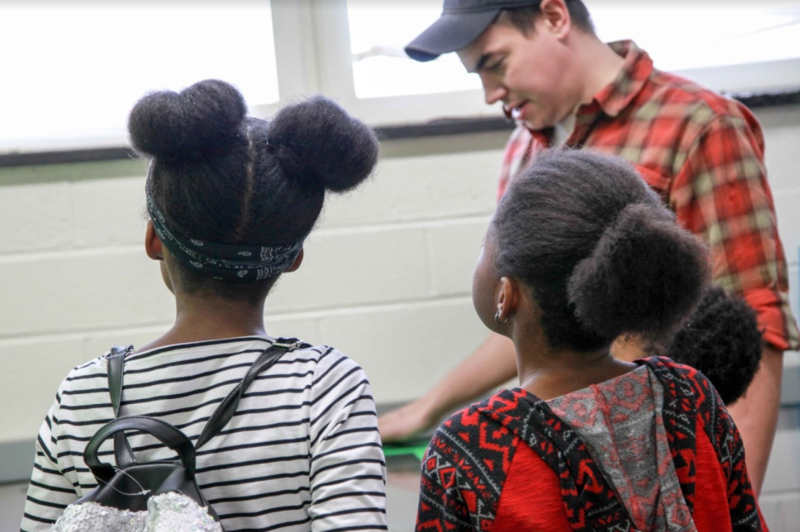 To arrange a trip for your class, or to recommend a high school intern, contact MakerSpace Coordinator Henry Scott at Henry@chesapeakearts.org. Monthly, daily, and yearly MakerSpace memberships are available to purchase, with discounts offered for students. For more information, visit their website. STEM Cells? Nah, STEAM Sells!